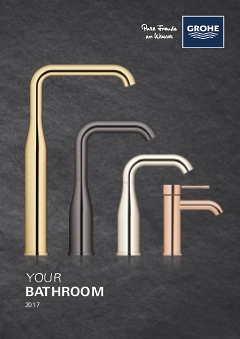 Stylish, durable and very easy to clean, the Eurosmart Cosmopolitan bathroom tap, which fits all regular basins, is designed to make all your bathroom rituals a pleasure. Our GROHE SilkMove technology uses cutting edge ceramic cartridge, for example, so you can control water temperature and flow with smooth precision. This eco-friendly tap also cuts water consumption without a single drop in performance!